Step by step: How to do a return? Please take the time to review our Return’s Policy below. To start the process of your return, please complete a Returns Form by logging into My Account; this will inform you of your order’s eligibility. Once approved, complete the Return Note attached to your invoice. Place return note and item in the return parcel (you can re-use the original box or a parcel of your choice). For Domestic Returns: Stick the prepaid return label on the parcel. For International Returns: Unfortunately we are unable to provide our international customers free returns and exchanges except in the unlikely instance that we made an error in your order. Otherwise, please return items via your preferred courier (Local Post Office, DHL, FedEx, UPS, Aramex) with trackable service to the address provided on return note. We highly suggest checking with your local post office first, as they most times have the cheapest rates. If given a pre-paid label, please print and ship prior to the given expiration date. If label expires, you will be responsible for paying to return the item. Make sure to ask for a receipt for proof that you have returned the merchandise (for returns all returns without receipt, make sure to note down the return tracking number). 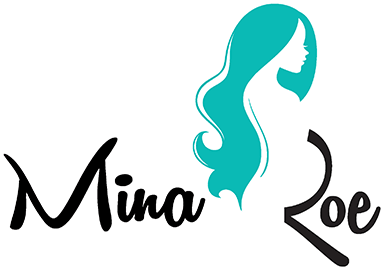 For Domestic Returns: shipping costs will not be deducted from your refund if the error of the original order was made by Mina Roe. We will send you a confirmation by email as soon as we have received your returned merchandise. From the day we have received your return, we will process it immediately and issue the refund, store-credit or exchange. The time it takes to receive a refund varies. All claims must be filed within 48 hours of your parcel being delivered. No exceptions! All claims must be filed within 5 days of receiving your parcel and shipped within 7 business days of the date you received the item. All returns are given a maximum total of 30 days to arrive to our facilities. Returns, Refunds, Store Credit and Exchanges are granted based on the discretion of our highly trained Administration Team. We will not accept your return if any of the tags or labels have been removed or tampered with. No exceptions! We accept returns if we made an error in your order, size exchange or if you received a product from our store that is damaged or has defects. All orders are eligible for one free return (outgoing shipping cost paid by Mina Roe) and the option of store credit or exchange for all unworn/ undamaged merchandise. If you require more than one return you will be charged $25 USD for each additional shipment. Store Credits are valid for up to 2 years. If we do not have the new size you would like to exchange your merchandise for, you may be eligible for a refund or store credit. We inspect all items before shipping. However, if you experience errors or defects to an item bought in our online store: please make sure to file your claim within the first 48 hours upon receiving your parcel and ship using our pre-paid label before the given expiration date. If you were sent the wrong item: please contact us, print pre-paid label and return original parcel with Return Note. Once we are notified by courier that the item has been shipped, we will immediately dispatch the replacement. All unworn/ undamaged items included in any of our Baby Shower Collections are eligible for exchange only. We do not accept returns on orders that were placed with the intention of being returned. We do not accept returns if the original tags have been removed or tampered with. Please take care when trying garments on as we do not accept items that are marked with make-up, deodorant, spray tan, fragrance etc. If item is returned worn or damaged, refund or exchange will be forfeited and you will be responsible for the shipping fee to send the item back to you. We ship all returns after the original item has been received and inspected for damages. If you would like your replacement to be sent next day, you will be given the option of placing a new order that is eligible for a full refund once we receive the original. If your original shipping cost was free, we will deduct the amount we paid in courier fees from your refund. If you do not keep the merchandise after doing an exchange, all shipping costs will be deducted from your refund. If you do not accept item upon delivery, all shipping costs will be deducted from your refund. Once we have received the item, your claim will be processed. Faulty items (by Mina Roe) are always refunded by the full amount or you can choose to do an exchange. The time it takes for the money to be back in your account varies. In the highly unlikely case that you have been refunded the wrong amount, please contact our Customer Service, state your order number and the required refund amount.